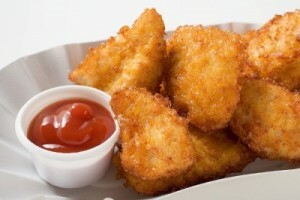 Chicken Nuggets recipe by Alvina Choudhry at DesiRecipes.com. In a large bowl mix together vinegar , soy sauce, salt , mustard powder, black pepper , and sugar. There are 27 comment(s) for this recipe. i like chicken nuggets veryy much nd i love the recipe thank u...!!!! it so good help me alot man thanks i dont like it but i love me and my familsay a relly big thanks!!!! Its great recipe thankyou for sharing.